Nike’s React technology isn’t even a year old and already it’s made a respectable name for itself. 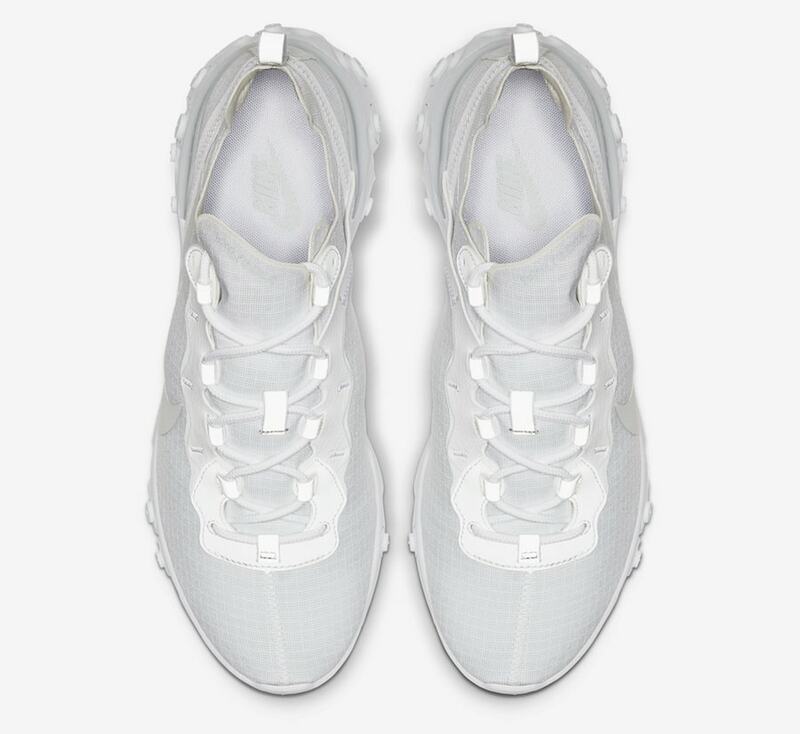 With a handful of models readily available, the Swoosh taking some more time with the Element 55, finally introducing a simple plain white colorway. Last Summer, the Swoosh introduced the React Element 87, a sleek new runner with a wild new look. Sneakerheads couldn’t get enough of them, and so Nike prepared a takedown model titled the Element 55 that debuted during the Fall. Made from much more durable nylon than the older sibling, Element 55 is built to last. 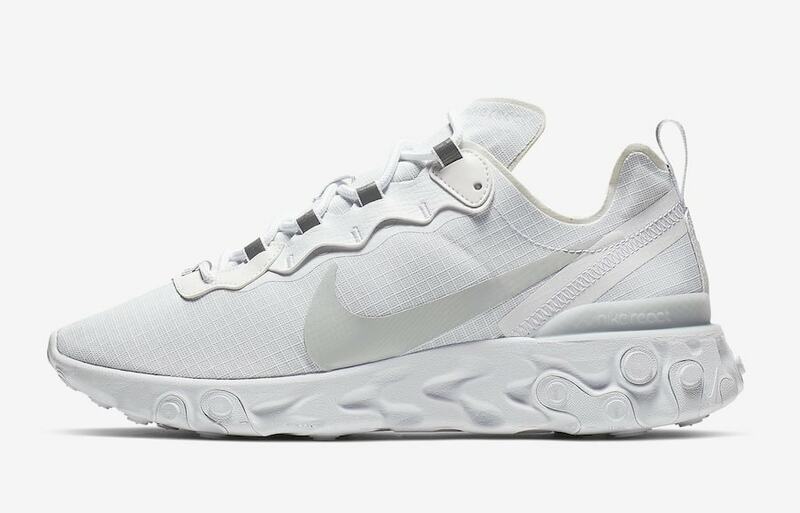 Now, after months of exciting new colorways of the simple but stylish React Element sneaker, Nike is finally ready to drop a plain white iteration. Obviously, there’s not much to talk about with a triple white colorway of a shoe we see wonderful new colorways of regularly, but it is a great addition to the lineup. 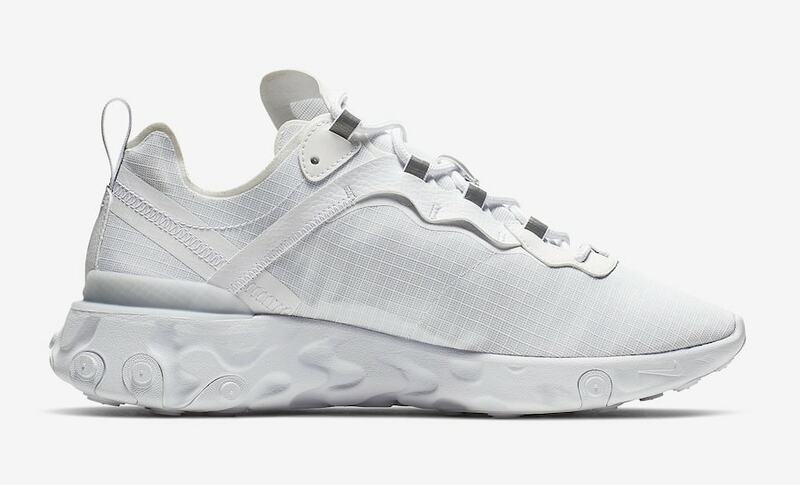 The clean new look for Nike’s React Element 55 has not yet been announced for release, though they are expected to launch soon. The plain white colorway will retail for the same $130 as its counterparts, and release from both Nike and select retailers. Check out the official images below for a better look, and stay tuned to JustFreshKicks for more Nike Element 55 release news. 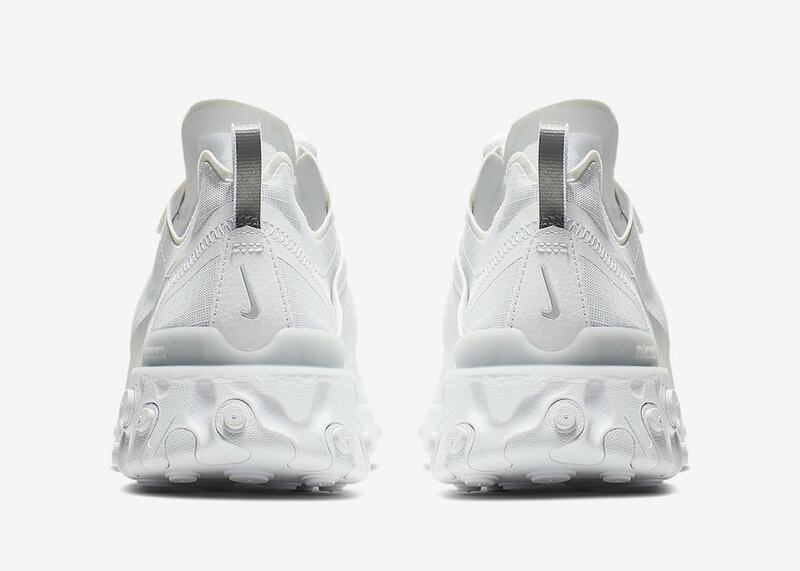 The post Nike’s React Element 55 Finally Surfaces in a Plain Triple White Colorway appeared first on JustFreshKicks.